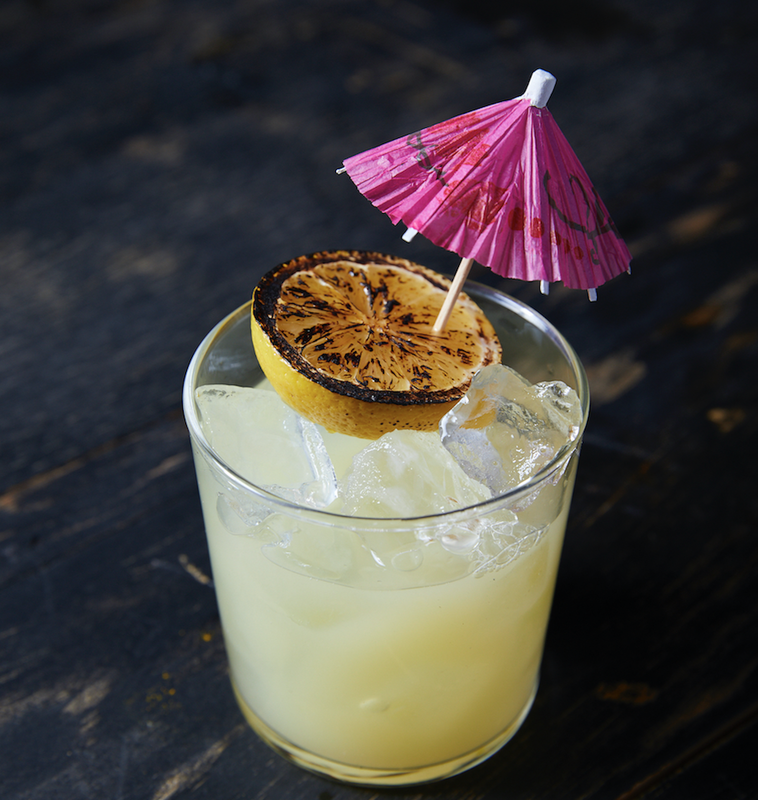 We may be stuck in the dead of winter, but that doesn’t mean you can’t have some tropical fun thanks to the new GITANO Jungle Room NYC. The Gitano Jungle Room is a year-round tropical restaurant and bar that reimagines the Group’s Jungle Room in Tulum, inspired by the colonial architecture of the Yucatan Peninsula, a beautiful dramatic room hidden in the jungle for 100 years. Following the success of the first season of GITANO NYC, a tropical garden oasis located on an entire city block entrance on Grand Street, the GITANO Jungle Room is the latest addition to the Grupo Gitano portfolio and is designed, developed and operated by visionary entrepreneur and Founder James Gardner. Inspired by the lush tropical jungle of Tulum Beach and the Spanish-Colonial architecture of the Yucatan Peninsula, the GITANO Jungle Room is located in a subterranean space within The James New York, SoHo and also includes the Jungle Bar & Terraces located one floor above. 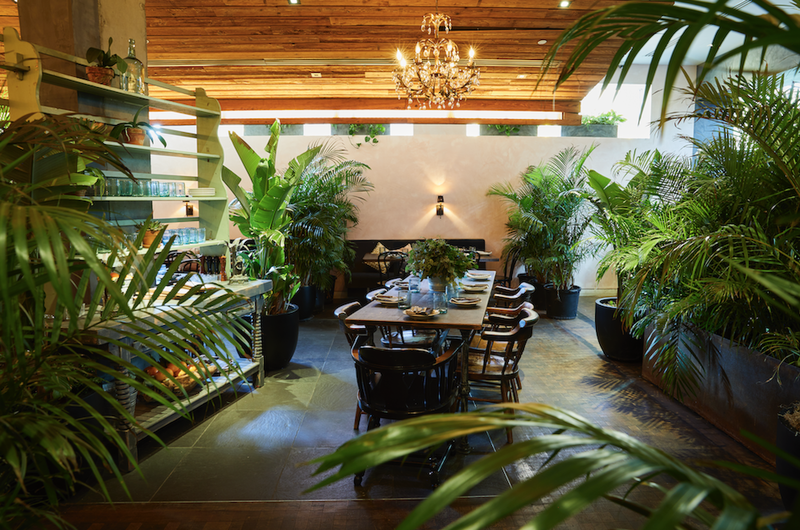 The Jungle Room restaurant is finished with a delicate GITANO pink plaster, filled with lush tropical plants, lined with rustic wood and ancient Mexican architectural elements and textiles curated by Gardner together with his husband, artist Andrew Cramer. Set under a soft glow from the tropical, vintage brass chandeliers and colonial sconces are lush black velvet banquets, Indian print cushions of gold and pink and wooden tables set for groups of all sizes. The Jungle Bar lounge area upstairs, accessed by a private elevator, is designed with a similar bohemian, rustic aesthetic, and plastered in the iconic GITANO gray also found at the Tulum location. The modern Mexican and Mayan inspired menu is developed by Gitano Grupo Consulting Chef at Large, Mads Refslund, co-founder of Noma and former Executive Chef of ACME in collaboration with Executive Chef and Partner Yvan Lemoine, former executive chef of Bodega Negra. GITANO Jungle Room offers fresh and flavorful Mexican and Mayan dishes with international influence. The full menu is available in the main dining room, while the upstairs lounge offers signature cocktails as well as a selection of light bites. The menu is broken down into five categories (Snacks, Small Plates, Large Plates, Sides, and Desserts), although everything is for the table and recommended to be shared. 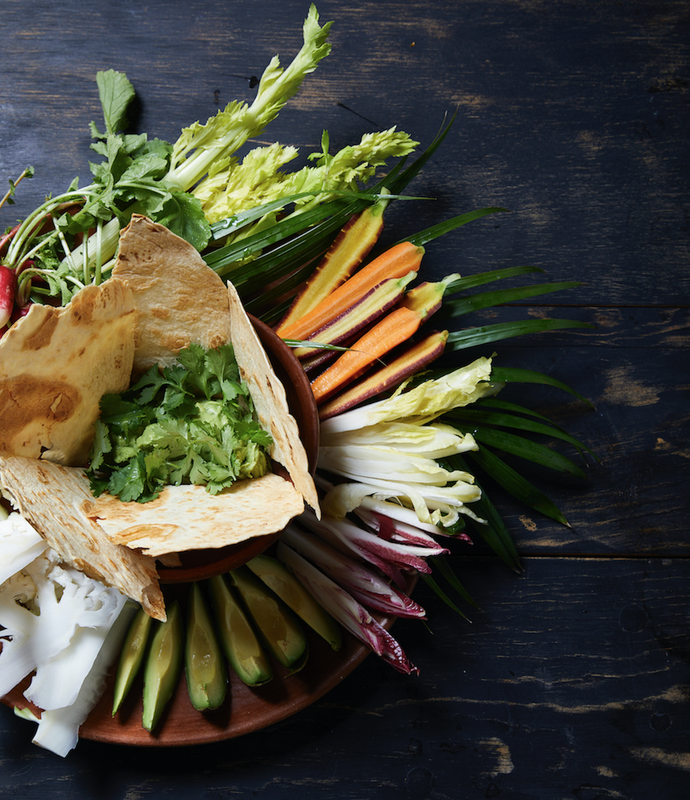 For snacks and small plates, highlights include the Tuna Tostada with avocado, radish and sesame, the Truffle Quesadilla Oaxaca with huitlacoche, gouda and black truffle, and the succulent honey glazed Lamb Ribs with coriander and lime. The Large Plates feature a flavorful Brook Trout cooked and served in a banana leaf, Carne Asada with a bold chimichurri marinade, and Pot Roasted Cauliflower, a full head of cauliflower covered with black garlic mole that sits on top of a cauliflower cream purée. Diners have the option to include a “Taco Add-On” to their order, inclusive of lettuce wraps, fresh herbs, as well as Chef Lemoine’s homemade corn tortillas and hot salsas. The Dessert category includes options ranging from light and tropical to pure decadence. The Coconut Panna Cotta is served in a coconut shell and topped with almond granola and seasonal fruit, and the mini Churros Con Chocolate are served with spiced Mexican dipping chocolate balanced with a side of vanilla ice cream. Veteran Head Bartender Jeremy Strawn has created a cocktail menu that takes the beverage offering to the next level. Composed of refreshing tropical libations with an emphasis on Mexican spirits and fresh seasonal ingredients. The list includes The Garden Rose made with Rosé tequila, St. Germain, lemon, strawberry, and rose water; a dairy-free nut milk cocktail, Coco Chacha made with rice milk, gin, lemon, sesame, horchata and turmeric. Not to be missed is the Golden God, a CBD-infused cocktail with Los Vecinos Mezcal, passion fruit, lemon, and yellow chartreuse, and the Double Hot Chocolate with ancho chiles, chipotle-infused mezcal, and coconut milk dark hot chocolate finished with black lava salt. Wines by the bottle and glass are also available, along with a selection of beers.